Devastating oil spills in the Niger delta over the past five decades will cost $1 billion to rectify and take up to 30 years to clean up, according to a UN report. Nigerians had “paid a high price” for the economic growth brought by the oil industry, said UNEP’s executive director. A leaked summary of UNEP’s Ogoniland study, the first large-scale scientific study of pollution in the area, has been seen by the Guardian. It calls for a clean-up fund of $1 billion (£614 million) for spills in Ogoniland, and says it will take 25-30 years to restore the environment. Much of the funding for the clean-up is expected to come from the oil companies. Heavy contamination of land and underground water courses, sometimes more than 40 years after oil was spilled. Community drinking water with dangerous concentrations of benzene and other pollutants. Soil contamination more than five metres deep in many areas studied. Most of the spill sites oil firms claimed to have cleaned still highly contaminated. Evidence of oil firms dumping contaminated soil in unlined pits. Water coated with hydrocarbons more than 1,000 times the level allowed by Nigerian drinking water standards. Failure by Shell and others to meet minimum Nigerian or own standards. Nnimmo Bassey, chair of Friends of the Earth International and director of Environment Rights Action in Nigeria, said: “The widespread pollution of Ogoniland as documented does not come as a surprise because the manifestation is physical and people have been living in that putrid situation for decades now. Now we know it will take up to 30 years to remediate the impacts, especially on the mangroves of the region.” He said the pollution had decimated the livelihoods of the Ogoni people. Responding to the UNEP report, Mutiu Sunmonu, the managing director of the Shell Petroleum Development Company of Nigeria, said it was a valuable aid to improving understanding of oil spills in Ogoniland. “All oil spills are bad — bad for local communities, bad for the environment, bad for Nigeria and bad for [the company]. Although we haven’t produced oil in Ogoniland since 1993 we clean up all spills from our facilities, whatever the cause, and restore the land to its original state. Environment groups and Ogonis welcomed the report but said $100 billion was needed to clean up the entire delta, beyond just Ogoniland. Friends of the Earth International called on Shell to come up with an action plan with the Nigerian government to commence remediation actions immediately. Oil drilling in Ogoniland ceased in the 90s after Shell was ejected for widespread pollution and failing to help regional development. More than £30 billion of oil has been extracted from the area but the majority of people are worse off than before the companies arrived. Oil company records and investigations of spills in the delta are heavily disputed and politically sensitive, and the UN has been careful not to apportion blame for any particular spill. Because Shell’s subsidiary, the Shell Petroleum Development Company, which works in partnership with the Nigerian government, has been the largest operator in the region, the report will be seen as an investigation of their practices. The independent report was paid for in part by Shell, and commissioned by the Nigerian government. The UN team was clearly shocked at some of their findings. 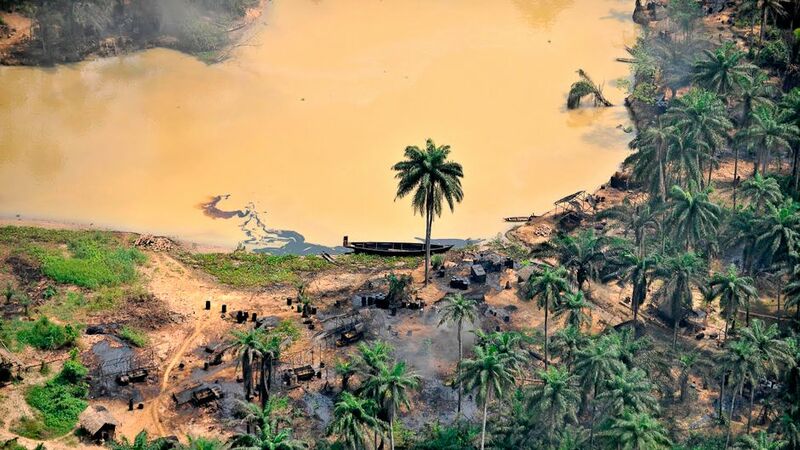 In one place, Ejama Ebubu, the study found heavy contamination from a spill that took place more than 40 years ago “despite repeated clean up attempts”. In Nisisoken Ogale, in Eleme, close to a Nigerian national petroleum company pipeline, researchers found 8 cm of refined oil floating on groundwater that served community wells. “Pollution of soil is extensive, widespread and severely impacting,” says the report, which will be presented to Nigeria’s president, Goodluck Jonathan, in Abuja on Thursday and will be released on Friday in London. This article was published on guardian.co.uk on Thursday 4 August 2011. What Happened Here, At The Salton Sea? According to this study, it will take 30 years to restore damage caused to the environment from the oil spills in the Niger delta. But how many years will pass before responsible parties are held accountable for their destructive actions? What mechanisms will the UN implement to realize their massive clean-up operation and overhaul of Shell dealings in the region?